Long-serving game director Jay Wilson is moving on to a new project at Blizzard. Jay Wilson has been riding herd on Diablo III for an awfully long time, and he's in the mood to spread his wings a bit. "I recently celebrated my seven-year anniversary working on Diablo III, and while it's been one of the most challenging and rewarding periods of my life, I've reached a point creatively where I'm looking forward to working on something new," he wrote in a message on the Battle.net forums. "The powers that be at Blizzard have been gracious enough to give me that opportunity. Over the course of the next several weeks, I will be moving off of the Diablo III project and transitioning elsewhere within Blizzard." He emphasized that Diablo III is in fine health, and said that the development team's plans for the future will go ahead uninterrupted. 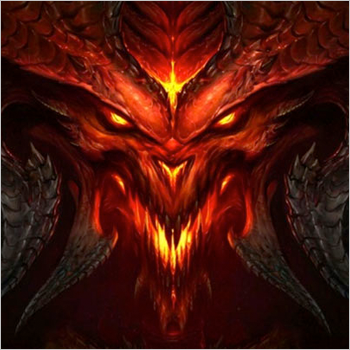 He also acknowledged making "many mistakes" in managing the relationship with Diablo fans, but added that his intent "was always to provide a great gaming experience, and be as open and receptive as possible, while still sticking true to the vision the Diablo team has for the game." That Wilson is a polarizing figure among the Diablo fan base can be seen clearly in the response to his announcement, which contain plenty of best wishes but no small amount of acrimony as well. Even so, he said his decision to leave was not an easy one, and he goes with no hard feelings. "I'm proud of Diablo III, and despite our differences at times I will miss the community that has formed around it," he wrote. "I know some of you feel we fell short of our promise to release the game 'when it's ready.' While we're not perfect, we try to make the best decisions we can with the information and knowledge we have at the time. That doesn't mean we always make the right decisions, but if we made a mistake then I feel we've made an exceptional effort to correct it." What Wilson will get up to next has not been revealed.